Tokyo is divided. In the (somewhat) near future, an war with China leaves Tokyo with a Chinese occupation and US-led military peacekeepers. The police force has to contend with both as they go about their duty of upholding the law. 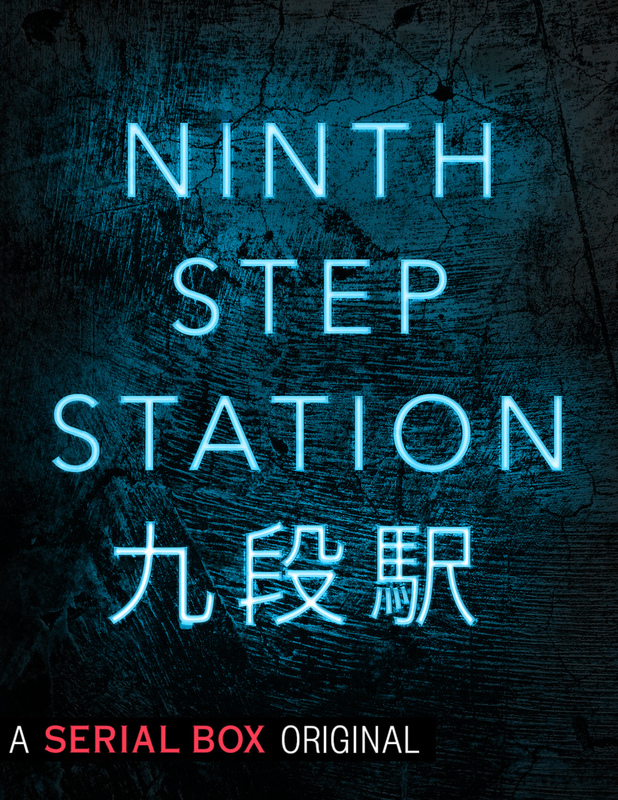 Ninth Step Station follows detective Miyako Koreda and her newly assigned peacekeeper partner Emma Higashi as they solve crimes, learn to deal with each other, and try to douse some of the fires that could result in a renewal of the war. Ninth Step Station is a Serial Box product, which means I got to read the first 10 "episodes" which I assume comprise a season 1. Each episode is approximately novella size. This format worked well for Ninth Step Station. With a limited number of authors, the deviations in voice and tone between each episode were pretty much non-existent. Every now and then, a character would do something a little out-of-line, but I was pleasantly surprised by how well each story flowed into the next. This is a police procedural, like Law & Order: SVU in a slightly futuristic Tokyo. Each episode follows a new case, but this isn't the kind of thing you could shuffle up and put into any order. Actions in previous stories have impacts later in the series, which is a nice touch. The stories themselves range from a really intriguing mysteries to a little plodding but not terrible. Where they've nearly lost me, and it remains to be seen if I'm still in it, is the ending of the last episode. It's really not an ending at all. It's like they've built up to a crescendo and then stopped. I had to ask for confirmation that my copy wasn't missing some final chapter or epilogue. I was really put off by how it ends because it doesn't end anything, neither the novella episode nor the novel season. I want this series to continue, but I also expect some satisfying conclusion to the 10 episode season, and I didn't get that. As with most serialized media, there's a chance this thing never sees a season two and this particular series will suffer badly for it. It stops mid-sentence (figuratively), and I'll be really unhappy if it doesn't continue. But the build up to that non-ending is totally enjoyable. It's an exciting, complex weaving of many strands of plots across personal and national conflicts. Bonuses: +1 Chinese detectives Liu and Wong are perfectly crafted scumbags. Penalties: -2 WHERE. WAS. THE. ENDING?